Welcome to RTI’s Center for Forensic Sciences! The Center for Forensic Sciences leads programs that improve the reliability of forensic sciences and advance the use of science and technology in safety and security. The Center for Forensic Sciences will transform the use of science, technology, and evidence-based policy to promote accurate and just decisions by public safety and security practitioners. Our research and programs will enable smart responses to critical criminal, terrorist, or other violent threats at the national and global scales. RTI will be seen as a source of knowledge and tools that can be used today by those who face these challenges in their professional practice. Are you looking for general information about innovative ideas and tools for forensic laboratories or scene investigations? 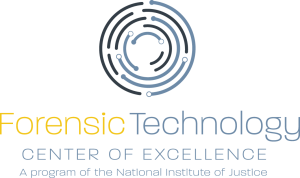 See our program for the National Institute of Justice, the Forensic Technology Center of Excellence. We offer reports and live and archived webinars covering just about every forensic discipline. Make sure to sign up for the FTCoE newsletter here. The NLCP is the U.S. Government’s accreditation program for forensic laboratories performing federally regulated workplace drug testing. RTI has worked with the Department of Health and Human Services (HHS) to develop and manage this program since 1986. We contract with more than 100 forensic toxicology experts to perform inspections for the NLCP. Additional information is available in our online course Introduction to the National Laboratory Certification Program (NLCP). For more information on laboratory accreditation or becoming an NLCP inspector, please contact us at nlcp@rti.org or 919.541.7242. Looking for training or certification programs? Our online training courses or National Forensic Science Academy certification program may help you. The NFSA’s leadership certification is the gold standard for forensic science professionals. Do you need reference materials for quality assurance programs? Our reference materials for toxicology are used for proficiency testing and blind quality checks in laboratories around the world. 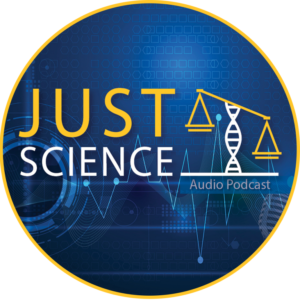 If you work in forensic science or just want to learn more about it, be sure to listen to our Just Science podcast, where we talk to scientists and forensic science leaders about the latest cases and technology.